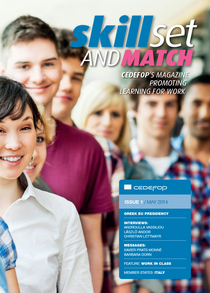 Cedefop has launched a new vocational education and training magazine. The first issue is now available to read and download. Skillset and Match aims to promote vocational training in the context of European initiatives taken by the Commission, Member States and social partners through Cedefop’s work programme.